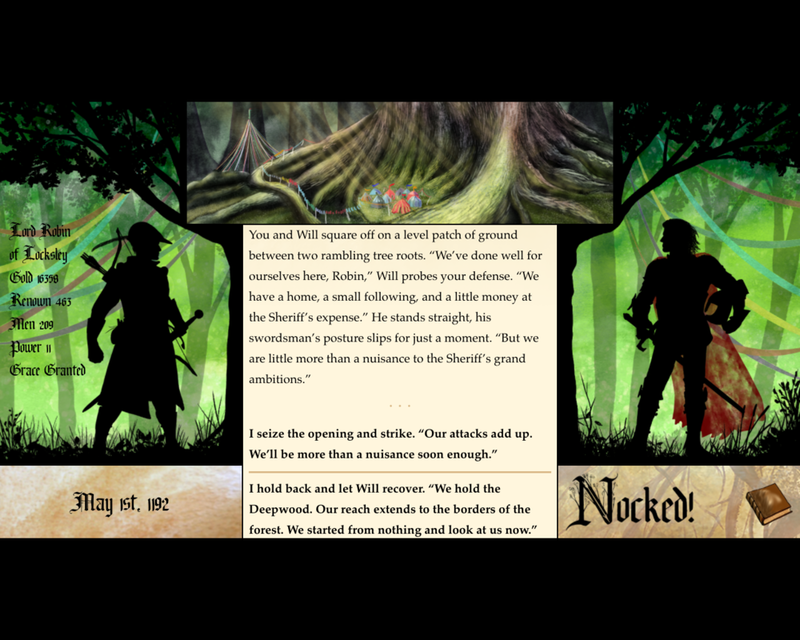 Bring Robin Hood to your Tabletop! Free Men of the Bow, the Robin Hood-inspired adventure for 5th edition D&D by Andrew Schneider, is now available through the DM’s guild. Grab it now, and bring Robin’s derring-do and hilarious hijinks to your tabletop group in this 3-hour adventure for up to 5 characters! Robin prepares to duel Will Scarlet in Nocked! Take control of the story in Free Men of the Bow! Newer PostDesktop Launch Coming July 17th! Older PostNocked up for DraconCon best Mobile game!